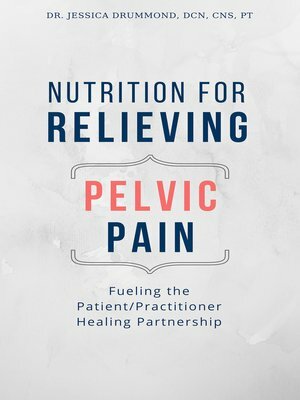 Nutrition for Relieving Pelvic Pain - Fueling The Patient / Practitioner Healing Partnership is a collaborative book for patients AND practitioners. It is a relative blueprint for pelvic pain healing, using nutrition and lifestyle medicine as the primary modality and protocol. This is a tremendous fact-based resource to help women and their doctors to take a more holistic and partnered approach to root cause healing of pelvic pain conditions, written by the go-to authority on nutrition and lifestyle medicine for pelvic health. When it comes to pelvic pain, women are often told that the pain is "all in their head." Nutrition for Relieving Pelvic Pain makes the case that's never true, and this book empowers the reader - AND their doctor or healthcare team - with the right knowledge to address that, without a "silver bullet" cure, because this is often a highly complex condition. In fact, this often finds women searching through physicians, holistic practitioners, western medical practitioners, physical therapists, nutritionists, acupuncturists, gynecologists, surgeons, and a long list of experts search for someone to fix the pain, because pelvic pain is life debilitating. And the core reality is that root cause healing from chronic pelvic pain means working collaboratively, often with a team of practitioners (led by the patient) in the majority of cases. It is a journey needing a depth of understanding and knowledge that patients need to create their team, and only a variety of practitioners will have. The collaboration of the team's knowledge, along with the patient's unique individuality and insight about her own body, health, and life is paramount and this book is a collaborative tool and a clear and powerful roadmap.